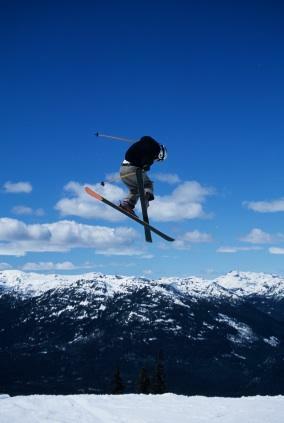 There are six greater Toronto area ski and snowboard resorts. Depending on what type of amenities, terrain and deals you are looking for, there is one that will fit the needs of you and your friends and family. Most are only a short drive from Toronto, so you can make a day trip, or if you feel like taking a quick vacation from the city, a multi-day option is easily accommodated. Blue Mountain Ski Resort is the largest mountain resort in Ontario, Canada and is a 90-minute drive from Toronto. It is visited by more than 1.5 million guests per year, and they recently made a host of improvements to their ski and snowboard terrain. With more than 720 vertical feet of terrain, the mountain has 36 trails that range from beginner to expert double black diamond. Blue Mountain also offers two terrain parks, one super pipe and 14 lifts. Their renowned Telus Park is home to some of the best rails for freeskiing and snowboarding on Canada's east coast. The Snow School at Blue Mountain is one of the largest in Ontario with more than 300 certified professionals who teach beginner and advanced lessons that help established skiers and snowboarders improve their skills. With daily lessons, adult specialty clinics and nine-week programs, anyone of any level will be able to develop their skiing and snowboarding skills. After a long day on the slopes, Blue Mountain provides visitors with several different choices for eating and night life. With 20 different options--from the C&A Steak Company to the Twist Martini & Wine Lounge--there is something here for everyone. Although there are only 350 vertical feet and 11 different trails, Devil's Elbow offers excellent skiing and snowboarding opportunities for beginners and experts alike. Just 72 minutes from Toronto, this ski area is small but still packs a powerful punch. It boasts a top notch ski and snowboard school, as well as a racing club. The spacious two-floor day lodge offers a full cafeteria with hot and cold foods, and a place to relax.If you are interested in heading to Devil's Elbow for a weekend trip, there are a few accommodations available just a few minutes away in Bethany, Ontario. Twenty-five ski runs, a terrain park, 304 feet of vertical, state-of-the-art snowmaking equipment, and 35 kilometers of Nordic skiing trails all make Horseshoe Resort an ideal winter vacation spot. In addition to their ski and snowboard terrain, the resort also offers a host of amenities, including the Inn at Horseshoe. The Inn features indoor and outdoor pools and hot tubs, a fireside cafe and lounge, a games room, squash court, tennis courts, skating rink and a new 8000-square-foot dog park. After a long day of skiing, wind down in the Shizen Spa, which offers a bevy of spa services, including massages, facials, and body treatments. Finally, when mealtime beckons, choose from the family-friendly Crazy Horse Saloon or the 75-seat elegant Silks Fine Dining restaurant. Built by two-time World Cup downhill ski champion Todd Brooker the Mountain Springs Resort and Conference Centre is just 90 minutes north of Toronto in Collingwood, Ontario. The resort boasts one of the top terrain parks in Canada. Badlands Terrain Park was named by SKIER Magazine (Snowboard Canada's free ski publication) as a "best of the East" and Free Skier Magazine named it the 8th Best Terrain Park in Eastern North America. There are two super pipes and new additions to the park, such as monster rails from the Coors Light Triple Challenge Pro Rail Jam, including a giant white high bar, a 35-foot flat box and a swing set. While the terrain park is top notch, the rest of the resort is also well-known for its alpine skiing, cross-country skiing, snowmobiling, skating and snowshoeing. Booking reservations at the resort guarantees you ski-in ski-out access, as well as superb dining options and access to a year-round outdoor swimming pool and spa treatments. Beginners and experts alike will love Mount St. Louis Moonstone, which provides enthusiasts with 40 different slopes, 12 chair lifts, and more than 170 acres of terrain. There are also two well-known terrain parks--the Junkyard and the Outback--where snowboarders and free skiers can test their boundaries on rail lines, take-off jumps, battleship rails, flat-down and c-rails. Two base chalets provide necessary food for hungry skiers and snowboarders, as well as a bar, a daycare, and a large rental shop with top-of-the-line gear. The Mount St. Louis Snow School offers a full range of private lessons, eight-week ski or snowboard courses, and racing programs. For kids 15-years or older there is an "Assistant Pro Program," which trains teenagers for professional CSIA certification.